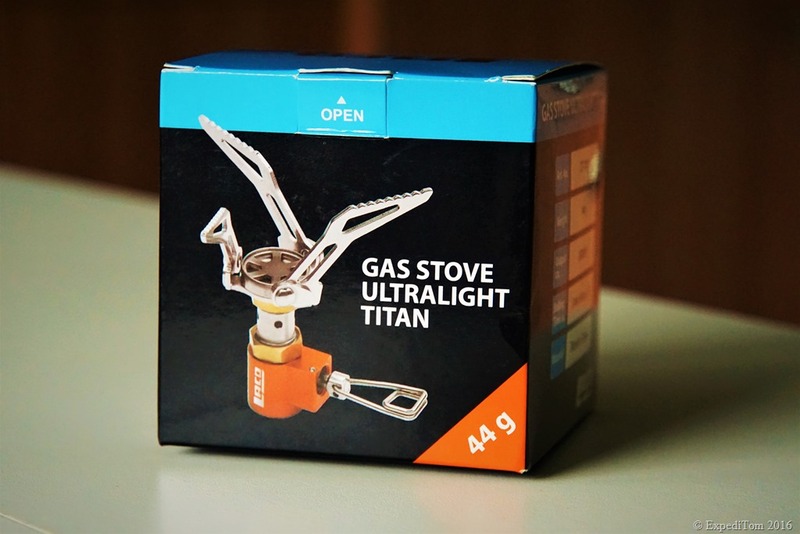 The LACD Gas Stove Ultralight Titan is an extremely light and compact gas cooker. It is built for people such as climbers and outdoor enthusiasts whose highest priority is weight. 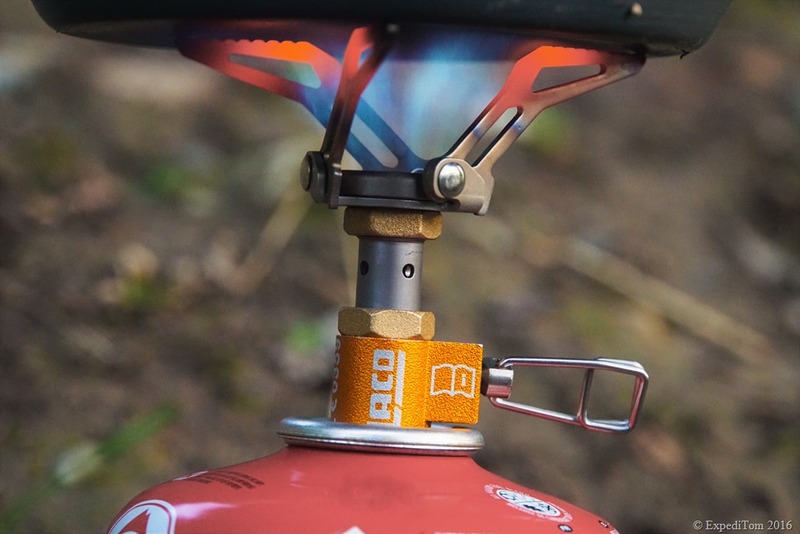 Read on how the LACD Gas Stove performed in the field! After a strenuous working day I finally made my way back home where a huge hunger almost detained me from going fishing. Yet, I packed the LACD Gas Stove Ultralight Titan with some dehydrated food into the backpack and set out for the river. There, I unpacked the gas cooker for the very first time and was astonished how small the LACD Gas Stove Ultralight Titan is. Moreover, the stove is extremely lightweight with its 44 grams (approved). The included pac sac for the stove adds another 3 grams. In contrast to its size, the LACD Gas Stove Ultralight Titan has a lot of power with 2600 W output and should boil 1 litre of water within 3 minutes and 50 seconds. 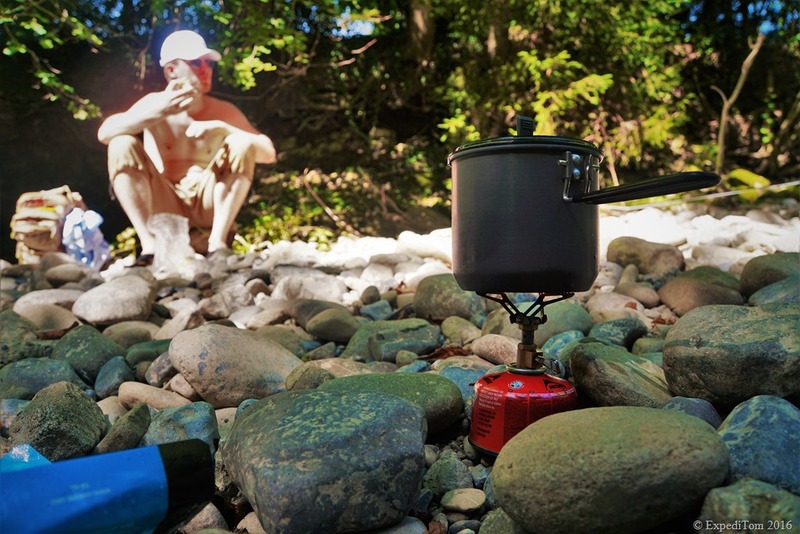 Although the elevation of the cooking spot at the river was only around 420 metres above sea level, the stove required 4 minutes and 25 seconds to boil one litre of water. However, in my subjective perception it was very fast. 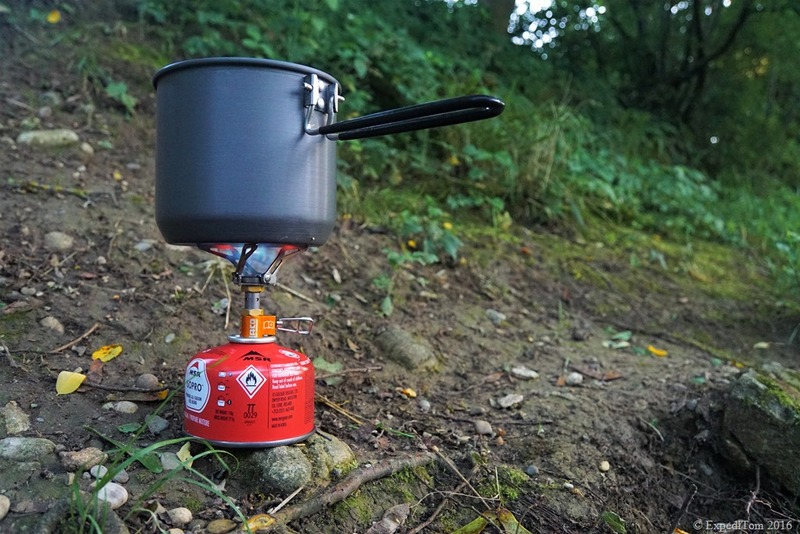 While cooking with the LACD Gas Stove Ultralight Titan I used a slim Tornado Ultralight Aluminium pot with a lid. What especially caught my eye, was the red heat glowing of the titan stands. The titanium material proofed to be very strong and durable. 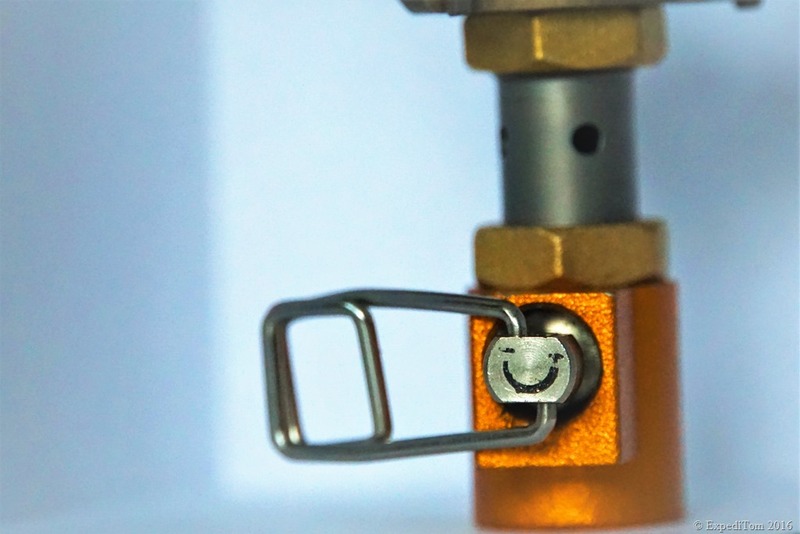 Whereas the LACD Gas Stove Ultralight Titan convinced with its ultralight design and measurments, I missed a built-in igniter. A little piezo ignition would have added some weight but prevent the consumer from forgetting a lighter. However, a lighter or matches are essentials which every outdoor-woman and -man should be equipped with. Furthermore, the stove requires at least an almost even surface to cook. Given that the LACD Gas Stove Ultralight Titan is screwed onto the gas cartridge the whole pile with the pot on top adds up. 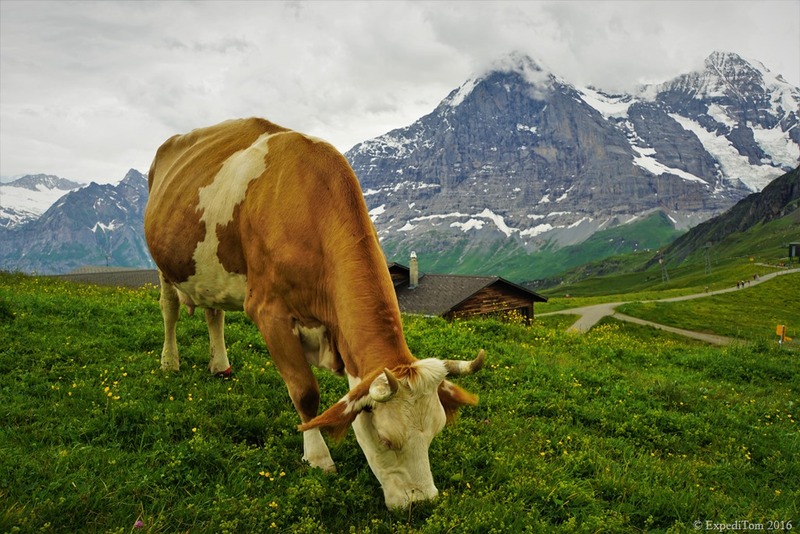 Consequently, the whole setup can be a bit wobbly if the ground is uneven. Nonetheless, I managed with ease to cook on rocks, gravel and grass. 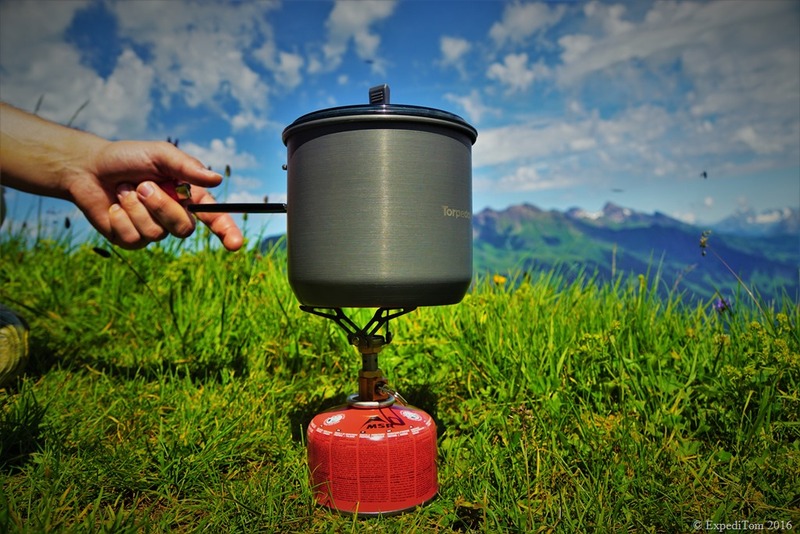 The second time I have tested the LACD Gas Stove Ultralight Titan was during a hiking trip in Switzerland. 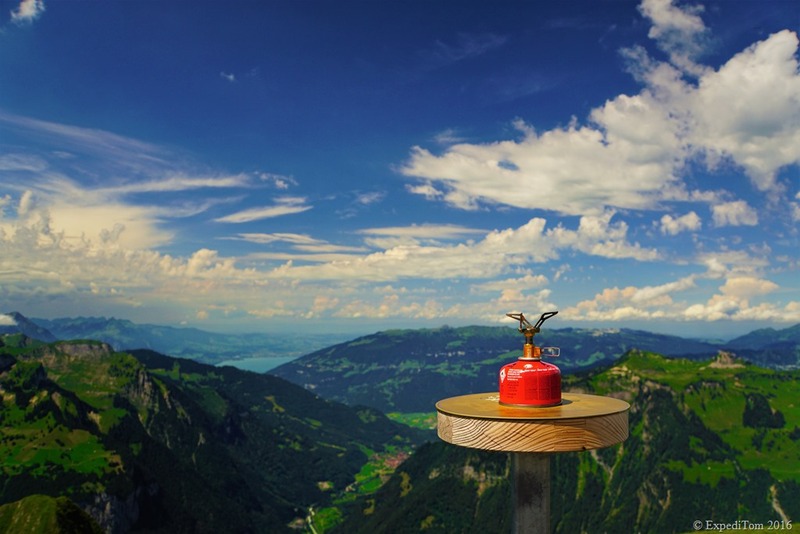 The aim was to see whether or not the stove is able to boil water in high altitude. 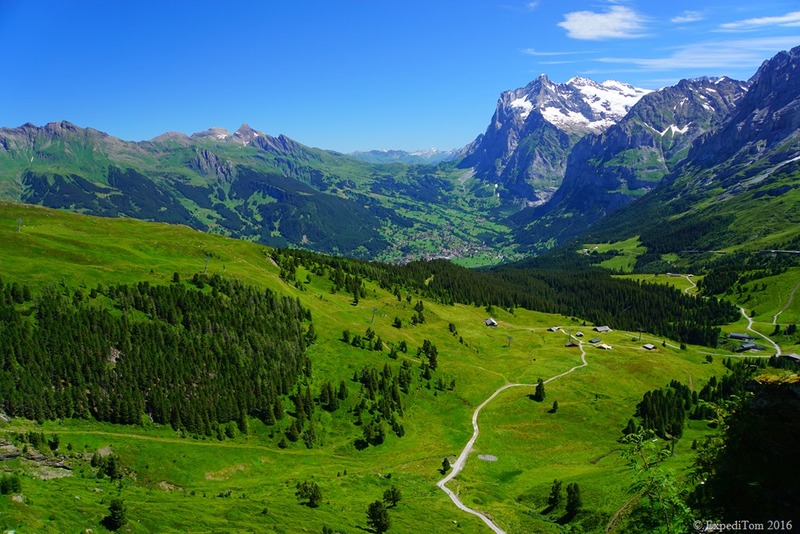 Thus, we went to Grindelwald and hiked to the Männlichen Mountain which is 2,343 meters above sea level. Although the weather was sunny, a strong wind blew on the summit and there were gusts from every direction. Thus, we settled for lunch a few meters below the summit where we were less exposed to the wind gusts. Nevertheless, the wind was quite strong. Additionally, there was not sufficient vegetation to build a wind barrier because we had hiked way above the tree line. As expected the boiling time of 1 litre water took more time due to the high altitude and the wind. Finally, after 10 minutes and 15 seconds, the water boiled. During this time we tried our best to protect the flame from the wind gusts but it proofed to be difficult due to the high stand of the whole cooking setup. Thus, a windscreen might be advisable to take with you in the mountains. 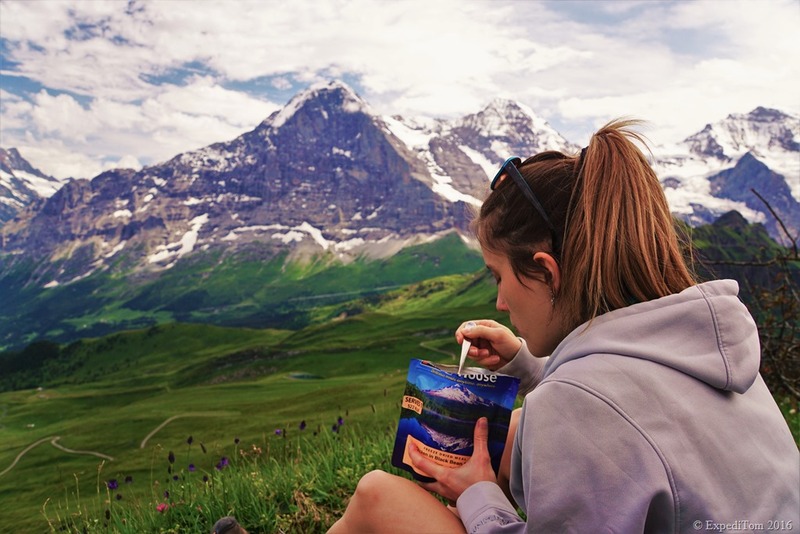 However, we enjoyed our warm meal in front of the Eiger Nordwand. Soon after, the wind brought a sudden weather change so we headed back. 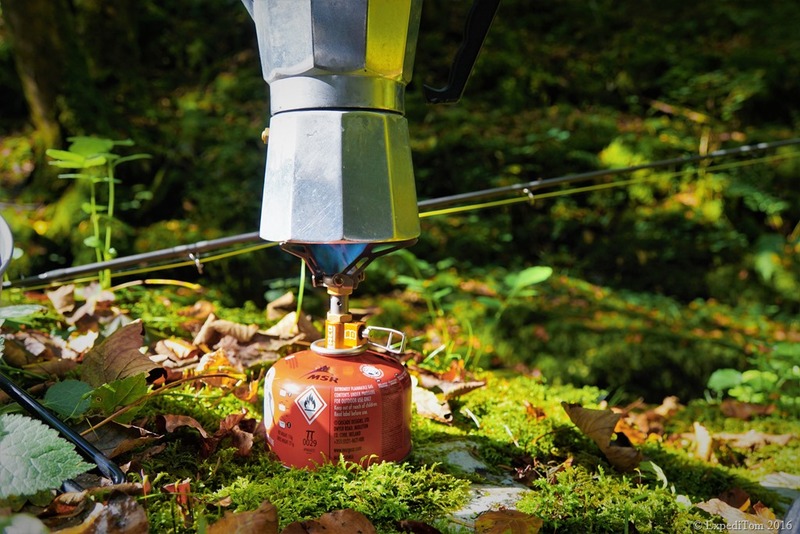 Despite these two trips to test the LACD Gas Stove Ultralight Titan, I have undertaken various other short fishing trips into the wilderness of Switzerland where I used this gas cooker. 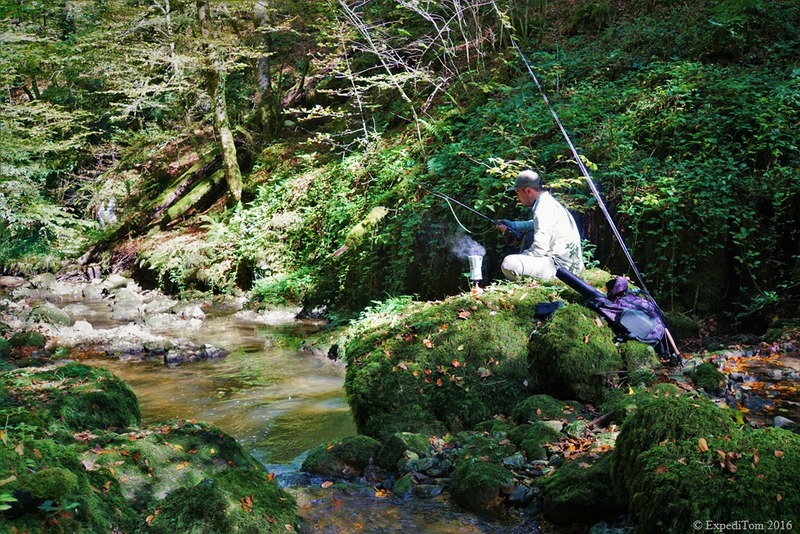 Amongst other expeditions I went fly fishing in the Canton of Vaud as well as some Jura mountain creeks. On both trips we ventured in a group of two and followed a stream for a whole day. My fishing companion and I used the gas cooker to prepare lunch as well as some coffee. In the case of the second excursion, we even used the LACD Gas stove Ultralight Titan to cook our dinner. What striked me the most after using the LACD Gas stove Ultralight Titan for several day trips, was its ability to simmer food on very low level. Owing to the precisely adjustable screw of the stove, one can easily simmer food on a certain level without overboiling. 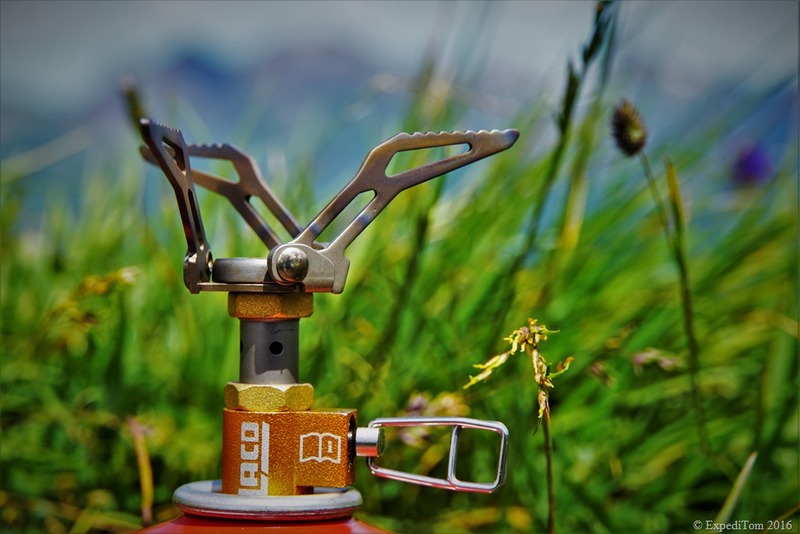 The LACD Gas Stove Ultralight Titan convinced me with its design and ultralight weight which makes it a perfect companion for a wide range of outdoor activities. The stove is not only of remarkable use for climbers, but also for any outdoor enthusiast who is concerned with weight and size. The LACD Gas Stove is suitable for trekking journeys over several days or just to have a warm meal during an exciting fishing day. 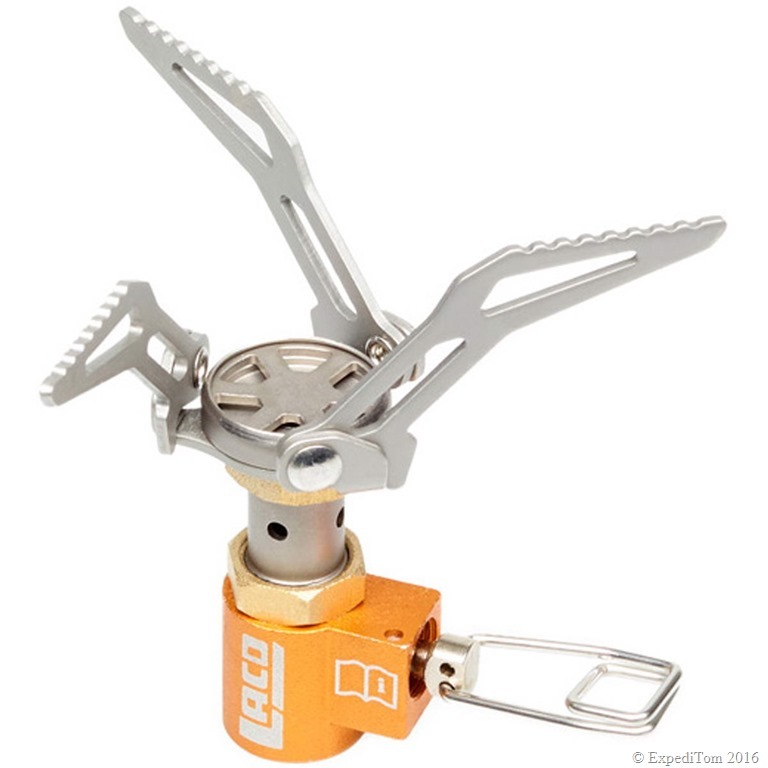 However, the LACD Gas Stove Ultralight Titan has no built-in piezo ignition and is prone to wind disturbance, but in my opinion this is negligible in contrast to its advantages like durability, boiling time and adjustability. 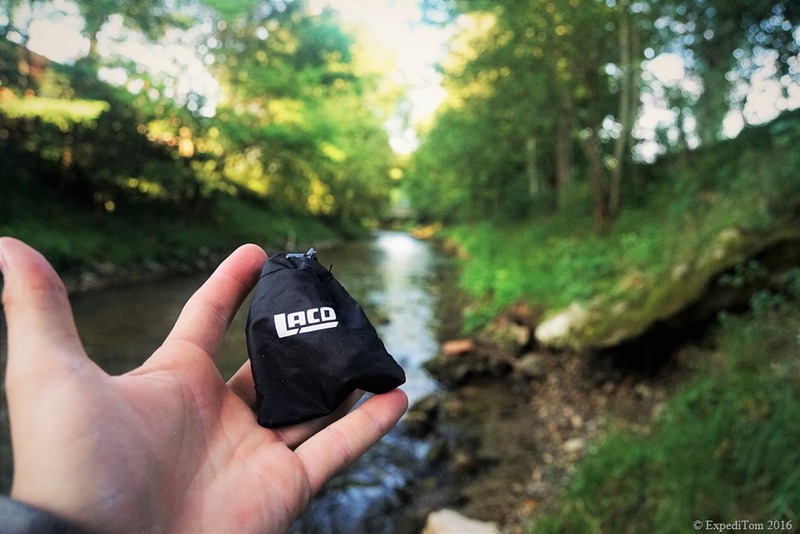 This item will definitely be with me on my upcoming adventures and I can recommend the LACD Gas Stove Ultralight Titan to anyone who needs a gas stove which fits into any tiny pocket. 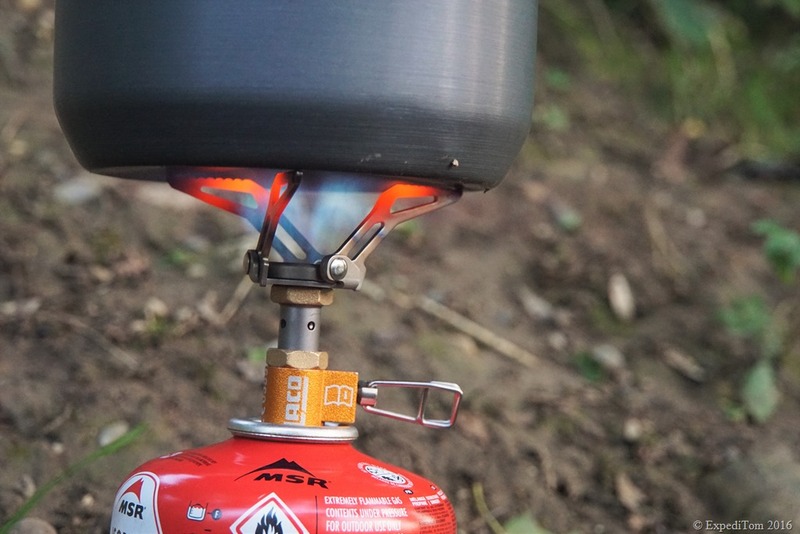 Do you have any questions to the LACD Gas Stove Ultralight Titan? Which is your favourite gas cooker and why?